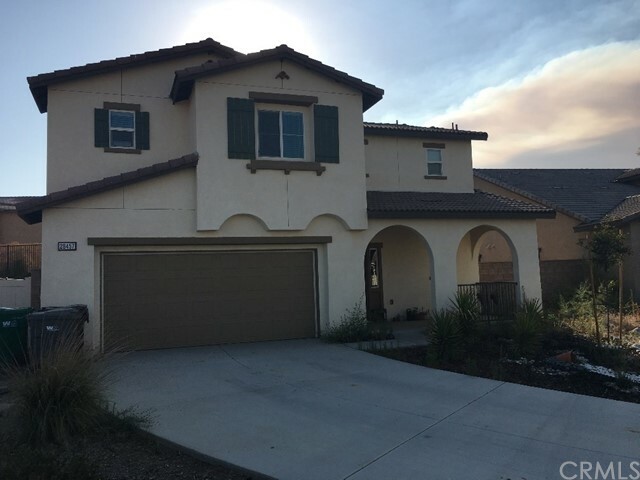 Welcome to this beautiful very well maintained and move in ready home in a desirable community in Murrieta. Located on a cul-de-sac with a long paved concrete driveway and enough room for an RV. Gorgeous mountain views and landscaped front yard welcome you and your guests as they walk though the arched entrance. A foyer greets your guests to the open floor plan leading to the kitchen with wood tile flooring, granite counter tops and breakfast island. Dining and living room are in sight of the kitchen for those fun and entertaining events. 2 bedrooms and a master bedroom and bathroom are upstairs along with a loft which is currently being used as an office. Laundry room is also conveniently located upstairs. Near freeways and shopping. Must see...Submit your offer today.